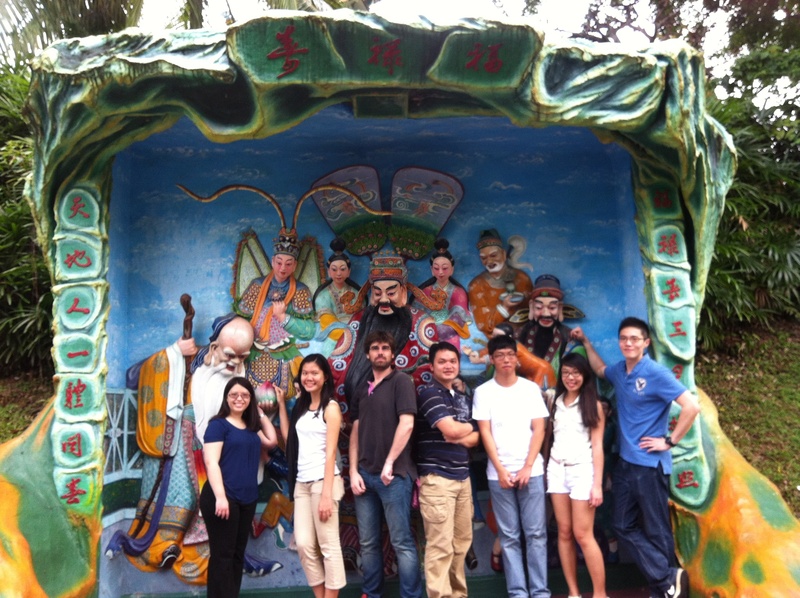 The lab visited Haw Par Villa for our long-awaited lab outing. Here is our photo in front of the Gods of fortune (from left to right: Melissa, Jocelyn, Nicolas, Edward, Cao Fan, Mian Mian and Sizun, a PhD student collaborating with the lab). This entry was posted in Lab Life on December 29, 2013 by M.
Melissa will attend and present a poster at the JCA-AACR Gastric Cancer conference in Japan. The conference will be held from 16-18 December 2013. She thanks the JCA and AACR for the travel grant award. This entry was posted in Conferences, Uncategorized on December 14, 2013 by M.